One of the common recommendations for new investors is to invest in a fund that tracks the Straits Times Index (STI), and understandably so. The STI is widely regarded as a barometer of the Singapore economy, and it continues to show growth potential and resilience, while delivering enviable returns. 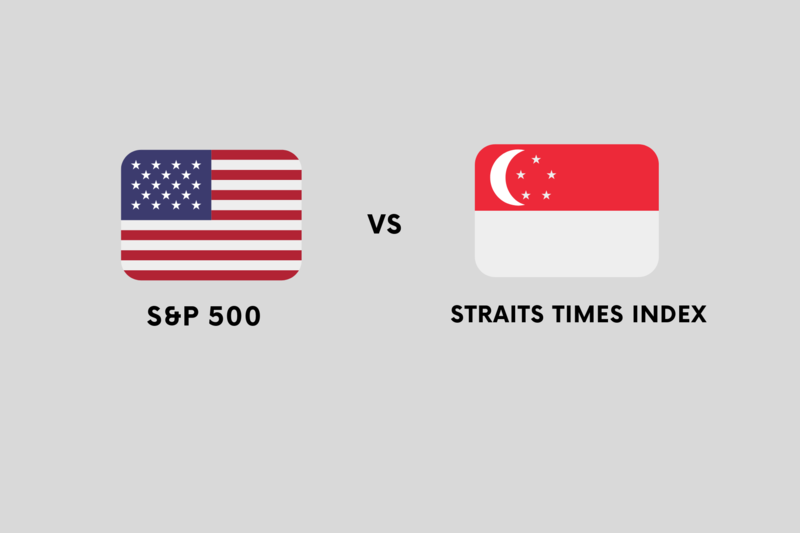 Those who wish to gain exposure to the STI can do so through two Exchange-Traded Funds (ETFs): SPDR Straits Times Index ETF (SGX: ES3) and Nikko AM Singapore STI ETF (SGX: G3B). However, there are also another group of investors who rather recommend the S&P500 as a first investment for newbie investors, citing its higher growth prospects and more diversified companies. We’ll compare these two indices in various areas that would be important for the new investor seeking to put together their investment portfolio. As its name suggests, the S&P 500 consists of 500 of the largest capitalised companies listed in the United States. These include companies whose business operations span the globe, some of which offer products and services you probably interact with on a daily basis, such as Microsoft, Apple, Facebook, Alphabet (Google), Johnson & Johnson, Exxon Mobil, and more. 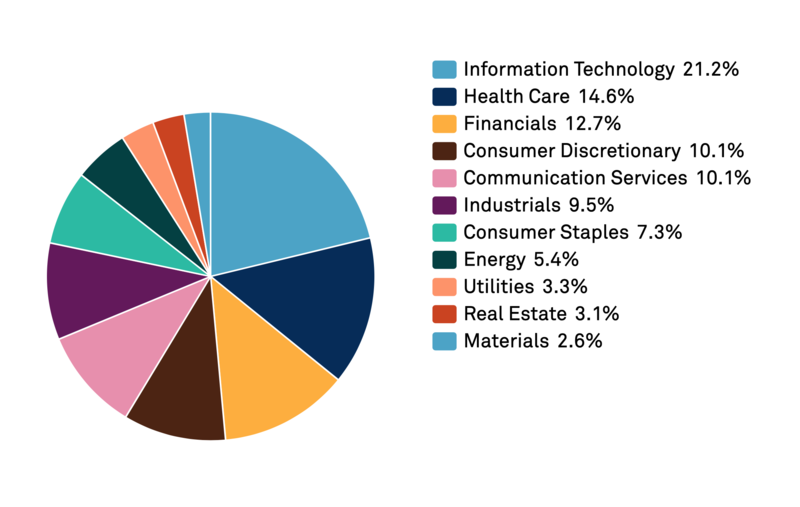 As of 29 March 2019, there is USD $9.9 trillion indexed or benchmarked to the S&P500. Read Also: How To Invest In Technology Companies, Beyond The Famous ‘FAANG’? In contrast, the STI is made up of 30 of Singapore’s largest and most liquid blue-chip stocks, names of which will also be familiar to Singaporeans: DBS, UOB, OCBC, Singtel, Capitaland, and more. Diversification is a key tenet of investing. Naturally, S&P 500’s global reach and stable of 500 large-cap companies makes it inherently more diversified than the STI, though companies on the STI do have business operations around the region. Before we explore the returns generated by these indices, it is critical that we remember that past performance is no guarantee of future returns. While the S&P500’s 5-year returns may look pretty attractive, Singapore investors should note that it is denominated in USD. This is significant because Singapore has long maintained a fiscal policy of gradual appreciation against the USD. 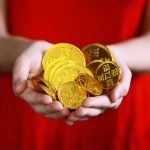 So while your investment portfolio may be growing faster, when converted back to Singapore dollars, this will have an impact on actual returns. Investors have a wealth of options when it comes to investing in the STI. You can do so without even opening a CDP or brokerage account, using Regular Shares Savings plans. For those who are already investing, you can buy a ETFs listed on Singapore Exchange (SGX) that tracks the STI. In contrast, it is slightly more challenging to find a brokerage that gives you access to the US market. Fees for buying overseas counters are also more expensive, and you would need to take note of taxes on your dividends as well. Finally, while companies on the STI have major business operations in the region, it is still predominantly a Singapore-focused index. As someone who is working and living in Singapore, how well the Singapore economy and market does has already has a large impact on our lives and standard of living. Some might wish to build an investment portfolio that isn’t also closely tied to Singapore to diversify and reduce the impact if something untoward happens to the Singapore economy. On the other hand, investors who have confidence in Singapore’s continued prospects into the future would not mind “doubling down” on Singapore, and be rewarded with the growth of “Singapore Inc”.